At Euroblech 2018, drive and automation specialist Baumüller will be presenting modern technology solutions for sheet metal working machines in hall 16, stand H 43. The Nuremberg-based company is taking part in the world’s largest trade fair for the sheet metal working industry for the first time, which will be held in Hanover from October 23 – 26, 2018. As a full-range supplier, Baumüller will be presenting current trends and developments: such as servo presses as an alternative to conventional pressing processes, technology solutions for multi-axis applications and the use of modern simulation technology. “We are presenting Baumüller Lifecycle Management at Euroblech. It includes our entire portfolio, from the technology package and engineering to worldwide commissioning and production to round-the-clock service, 365 days a year. As a result, our customers receive everything from a single source and can rely on us as a complete supplier of automation solutions for sheet metal and metal processing,” says Stephan Reiß, European Sales Manager of the Baumüller Group. With its solutions for servo presses, Baumüller combines the flexibility of hydraulic presses with the speed of mechanical presses. Controllable servo press make it possible to increase productivity, achieve a high product quality and a high level of flexibility. If press manufacturers rely on electric servo presses with direct drive technology, maintenance-intensive gears and lossy standard motors or hydraulic systems are eliminated. This reduces costs while increasing energy efficiency, quality and productivity. Baumüller has many years of experience in equipping servo presses and, as a full-range supplier, is at your side from planning to commissioning and service. The high-torque motors used in the DST2 series achieve very high peak torques in order to provide the necessary power for the pressing process. Baumüller’s newest and largest motor, the DST2-560, also offers a torque of up to 80,000 Nm. Thanks to the modular system, several motors can realize electric pressing forces of up to 3,000 tons. During Euroblech, Baumüller will demonstrate its user-friendly user interface for the simple and fast creation of press profiles from the software package for servo presses. Using web-based visualization, motion profiles with optimal curve progression can be intuitively created. Additional features are, for example, the infinitely adjustable processing speed, the ability to stop gently at the upper dead center and to automatically return to the home position after a machine stop. This saves the user time when setting up and retrofitting the press. Baumüller also shows the latest simulation software using the example of a servo press. Making machines and systems future-proof and tailor-made for applications requires time, experience and is an intensive engineering process. In order to shorten the development time and bring the machine to market as quickly as possible, Baumüller offers software models for the simulation of its drive components and makes them available to the machine manufacturer in the project planning phase for the new machine. 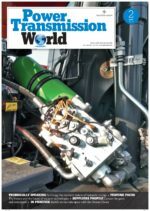 Alternatively, Baumüller provides engineering support and takes care of the entire machine design for its customers based on the machine manufacturers’ models. A major advantage of simulations is the faster time-to-market, since the software can be tested virtually during the development phase of a machine. This allows the interaction of the individual components to be evaluated and optimized in advance. Industry 4.0 opens up numerous new possibilities: Individualized products, optimized manufacturing processes and predictive maintenance. The prerequisite for this is always the acquisition, communication, algorithmic linking and intelligent evaluation of data. Baumüller offers numerous solutions for industry 4.0, including BAUDIS IoT, a system for the process optimization and predictive maintenance of existing and new machines. It is an IoT-capable diagnostic and communication system that allows for a simple networking of machines and systems via the Internet and the intelligent analysis of data. 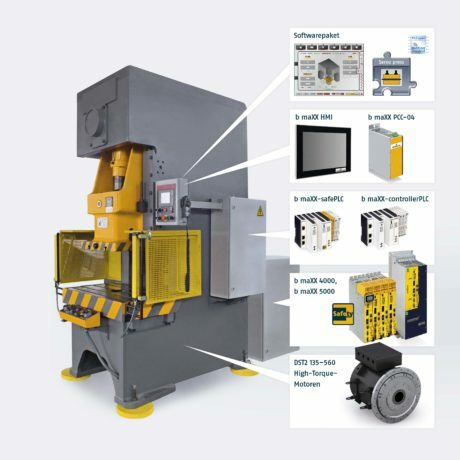 The system can be used independently of the manufacturer of the automation components and the sensors and can also easily be retrofitted and therefore upgraded. It is therefore equally suitable for greenfield and brownfield plants, i.e. for the digitization of new and existing production plants. Baumüller offers a solution for manufacturers who want to develop multi-axis machines with functions such as milling or cutting or individual motion sequences with little effort. Depending on the application, this can take a lot of time and development capacity. This is exactly where Baumüller provides support and offers a complete modular system made of the necessary drive and automation components as well as software solutions for the development of any motor-driven motion sequences in production and automation technology. The applications are manifold: from processing machines for drilling, plasma cutting, laser cutting and bending to robots for the surface treatment and removal of components. The main advantages of using Baumüller’s technology solutions for multi-axis applications are the reduced costs, the reduced need for detailed programming knowledge and thus the shorter time-to-market. The modular technology solutions are available both as a basic package for linear, machine-independent motion control and as a completely finished technology solution for a specific application. No programming knowledge is required for the latter, since the user only has to parameterize the movements. With its direct drives DST2, Baumüller offers high-torque synchronous motors, which are ideal for use in presses, for example, due to their torque. The DST2-560 is new: torques of up to 80,000 Nm can be reached with this largest of all Baumüller motors. In addition, Baumüller will be presenting the converter family b maXX 5500 for high performance classes. The series b maXX 5500 offers a power range from 1.1 kW to 315 kW. Rectifiers, intermediate circuit capacities and inverters are integrated in all devices. The 5000 series inverters have been extended to mono units in the 5500 series. With the b maXX 5500, higher safety functions such as SLS (safely limited speed) and SLP (safely limited position) can be integrated into high performances. With the new high-performance generation of box PCs, b maXX PCC04, Baumüller provides a scalable, versatile platform that offers a large number of interfaces, is expandable and thus allows for a flexible design.